For a unique sleeping experience. 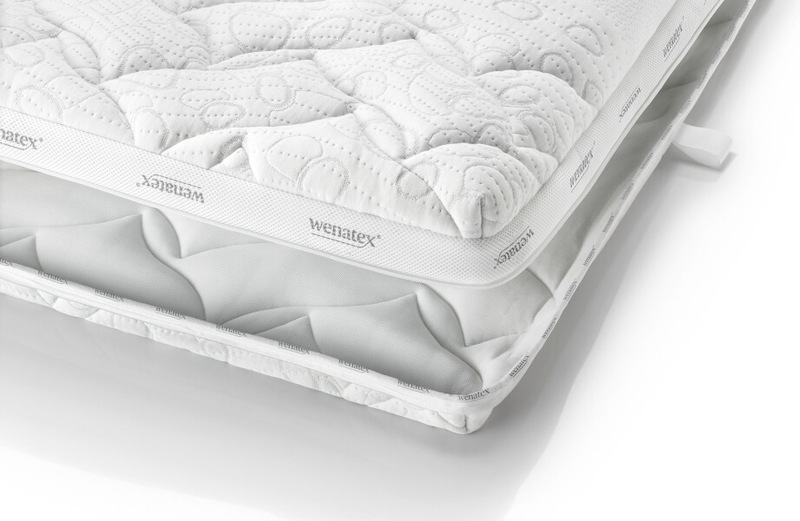 wenaPur® cold foam has been developed through years of technical research and experience combined with the latest scientific findings in order to ensure healthy, restful sleep. 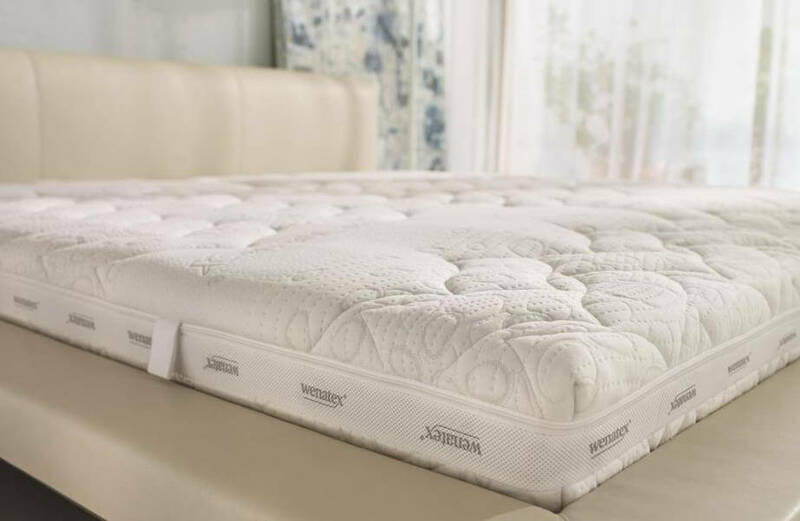 Maximum cleanliness are provided by both the certified Sanitized® hygiene function and TENCEL® Powder, with which the entire cold foam has been permanently augmented and conditioned. This antimicrobial sleeping environment is the perfect enhancement for the ergonomically sophisticated lying comfort afforded by Wenatex. brook pebble design ensures the best lying comfort. Optimal yielding for the shoulder. prevents the spinal column from sagging. An exceptional level of support point elasticity and the unique SMT (surface modification technology) surface cut in brook pebble design, inspired by the Kneipp theory of a special sense of well-being, combine softness and comfort with the ideal firmness required to support the spinal column. The unique brook pebble design of the cold foam core fits the shape of your body perfectly and provides an anatomically correct sinking depth while simultaneously avoiding pressure points that may otherwise impair circulation. The wenaPur® cold foam core boasts an above-average volumetric weight of 50 kg/m3, which also guarantees an exceptionally long-term durability. The medium hardness grade of the wenaPur® cold foam core provides both the necessary stability and the highest possible level of comfort. custom – to fit any bed.